This recipe is the perfect proof that healthy food could be yummy, too. Often when I don’t have time for a warm breakfast, such as eggs, ham or baked goodies, I just mix a bowl of oats with some berries and honey. 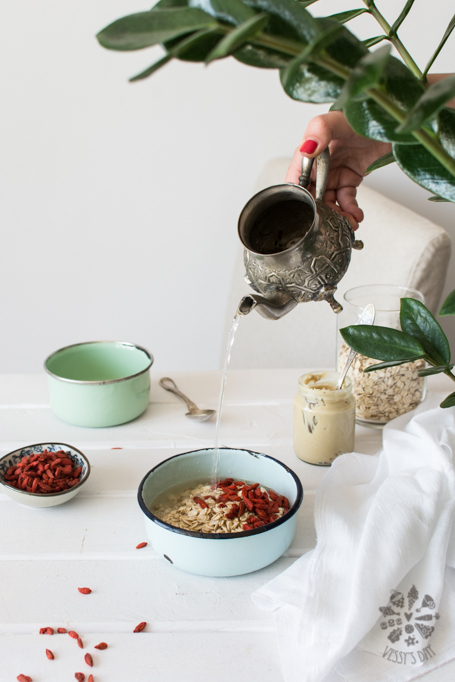 If you add sesame or other type of tahini to the oats, plus a tea spoon of goji berries you breakfast bowl will turn into a big healthy heaven. If you want to stay away from calories, make this recipe with water, instead of milk, or just use nut milk. I promise you will be pleasantly surprised how good this is. 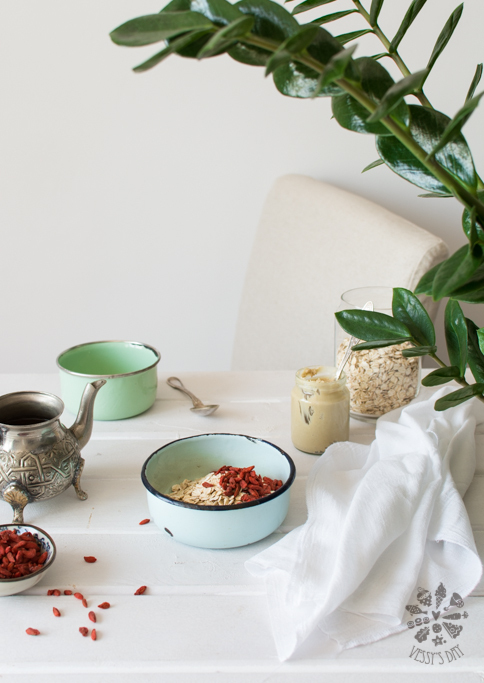 Put oats in a breakfast bowl, cover with hot water, add berries and sesame/cashew tahini and mix to combine. 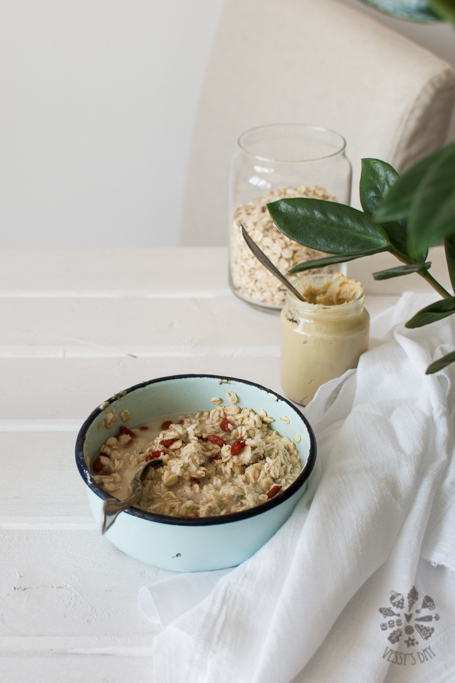 Let oats sit for 10 minutes to soften and absorb the water. Add honey to taste, stir again and enjoy!